Personal injury lawsuits cover a wide spectrum of injuries and accidents, including car accidents, toxic exposure and poisoning, defective products and other legal issues. In this section, you will find information on these areas as well as many of the other most common personal injury claims. If you have recently been injured due to another party's negligence, this information will be very useful to you. Personal injury laws are affected by a variety of complex federal and state laws. These laws are designed to protect the individual from the negligence or deliberate harm of others and to provide recourse in the event of injury. Because these laws vary from state to state, they can be very difficult to interpret, particularly during a traumatic situation. A personal injury attorney can help you determine your legal rights, give you examples of personal injury settlements and give you an idea of your chances of receiving compensation for your losses. Some of the civil wrongdoings that can result in personal injury, such as assault and battery, are also considered criminal acts. In these cases, a separate criminal proceeding may take place to address the criminal charges. A personal injury lawyer can help you file a claim for compensation regardless of whether the defendant in the criminal proceeding is found guilty. If you or someone you know has been injured due to the negligence or deliberate malice of others you should contact a personal injury attorney immediately to determine your legal rights. Motor Vehicle Accidents. More than 42,000 people died in motor vehicle accidents in 2006, according to the National Highway Transportation Safety Administration. In fact, motor vehicle accidents, which include car, bus, and boating accidents, are the leading cause of death among Americans between the ages of 2 and 34. Negligence or carelessness is often the cause of motor vehicle accidents, with distracted drivers accounting for an estimated 80 percent of automobile accidents. Distracted behaviors such as texting and driving accidents are very closely associated. To learn more, visit our section on motor vehicle accidents. DUI misdemeanor and felony offenses are also often linked to auto accidents. If you or someone you know was hurt in a car accident or other incident involving moving vehicles, you should consider speaking with a personal injury lawyer. Industrial Accidents. Industrial accidents can lead to serious health problems. Many people have been exposed to dangerous chemicals such as benzene, which can cause cancer, bone marrow toxicity and other ailments. To learn more about dangerous substances released in industrial accidents, contact the U.S. Environmental Protection Agency (EPA) Safe Drinking Water Hotline at (800) 426-4791. To learn more about personal injury settlements related to industrial accidents, you can speak with a personal injury lawyer. Manufacturers in several industries produce chemicals or other materials that can be dangerous to human health. Over the years some of these companies have been found guilty of negligence. Mesothelioma cancer is a disease caused by exposure to asbestos and has caused many deaths. A number of companies have been found negligent in these deaths. Lawyers have been able to obtain compensation for medical expenses and loss of livelihood for these victims and their families. The area of law that governs toxic exposure is known as toxic tort, and these cases are handled by personal injury attorneys. Pharmaceutical companies that knowingly withhold information regarding a drug's potentially harmful effects may be held liable in a court of law. FDA approval does not absolve a drug company of its responsibility to inform consumers and their physicians of a drug's dangerous potential. Drugs that may be defective include Vioxx, Fen-phen and Paxil. If you have taken any of the drugs that have been recalled and have suffered an injury, contact a defective drug lawyer immediately. Defective Products. A defective product poses an unreasonable risk of causing harm to consumers. Products that have been found defective include certain types of airbags, seatbelts, tires and medical devices, as well as consumer products such as appliances, clothing and toys. Doctors and hospitals are required to order the appropriate tests, treat conditions that affect the health of the child and take precautions during childbirth. A doctor's or hospital's failure to perform these tasks may be considered an act of negligence in a court of law. To learn more, refer to our section on birth injury or contact a birth injury lawyer to determine your legal rights. As with victims of other types of personal injury, victims of traumatic brain injuries that occur due to negligence or willful wrongdoing (and their families) are sometimes able gain compensation for pain and suffering, medical expenses, loss of income and other expenses associated with the incident. If you know someone who suffered a traumatic brain injury in a car accident or other tragedy, read our section on TBI and contact a personal injury lawyer immediately. Statutes of limitations vary from one to three years, depending on the state. Therefore, if someone you love was killed in a car accident or other tragic situation due to someone else's actions, it is very important that you contact a personal injury lawyer immediately. Your lawyer will help you interpret your state's guidelines, provide you with examples of settlements, and determine your legal recourse. For more information, refer to our section on wrongful death. Aviation Accidents. Air travel is very safe, especially compared with other modes of transportation. Over the years, the Federal Aviation Administration and National Transportation Safety Board have been very successful in promoting safe air travel. However, emergency landings and other emergencies are actually quite common, and occasionally accidents occur. These mishaps are usually due to human error or mechanical problems. If you or a loved one has been harmed in an aviation accident, you should contact a personal injury attorney to help you determine if you are entitled to compensation. Assault and Battery. Assault and battery are offenses in both the criminal and civil law arenas. In a criminal case, assault and battery are often part of a single case. However, in civil matters they are separate. Assault is an attempt to physically harm another person, and battery is the actual infliction of harm. In addition to having the perpetrator locked up, victims of assault and battery may be able to collect damages for medical expenses, pain and suffering and other expenses. 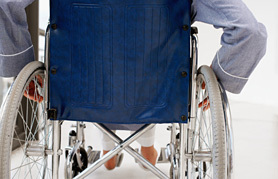 A personal injury attorney can help you obtain the compensation that you are entitled to. Because personal injury encompasses so many areas of law, some personal injury lawyers specialize in only one area, such as mesothelioma or defective products. Other firms practice in all areas of personal injury. If you or someone you love has been harmed due to the negligence or wrongful actions of another person, you may want to consider hiring a personal injury attorney. Personal injury law falls under an area of civil law called tort law, which exists to address civil wrongdoings.